Every tradition in the world has common ideas about the different types of people, representing both our outer actions and our inner personality. All cultures share similar ideas about the types of societies and places where people may live. These are the mythical realms of our stories, and the theme of this year’s How Weird Street Faire. There is the perfect society or paradise, such as Utopia. There is the exotic location filled with diversity and wonder, like Milliways and Tatooine. There is the magical and the sacred, such as Avalon, Hyperborea, and Shambhala. And there is the abstract modern world of Cyberspace, and the land of Information. Each of these perspectives provides an alternative view of the reality we all share, thus opening up a new world of possibilities. 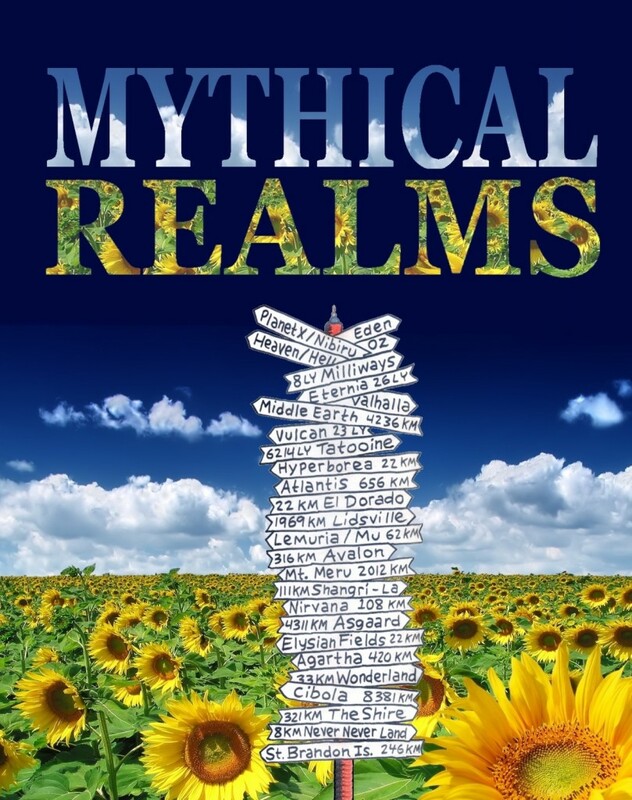 Mythical realms can create experimental ways of living, where solutions to society’s problems are worked out. They are the scratch pads for social innovation, exploring new paradigms and ways of interacting. They are the places where the past is celebrated, and the future is invented and nurtured. They are the lands of our dreams, our hopes, and our fears. Our myths allow us to better understand ourselves and others. Depth psychologist David McInerney says that “myth is a catalyst for therapeutic healing… offering a greater understanding of the inner world of human beings and how they are connected to one another.” Modern science is now acknowledging what has been known for centuries, that health and wellness are deeply related to thoughts and emotions, to the subconscious world. The Critic holds up a mirror. The Trickster holds up a window. The Magician turns it into a door. And the Weirdo jumps through it. This is a metaphor for the process of changing society, and also a description of the peace movement and its evolution from ideas to action. The Critic declares that reality is currently filled with problems that can be solved. The Critic represents the anti-war protests, individuals, and organizations who question the government’s role in armed conflict and war as a way of resolving differences. The Critic opens our eyes to the current situation, and its problems, paving the way for change. The Trickster imagines another world of possibilities, and shows them to society. They represent those who are envisioning a world at peace, and a just society. They are the artists and philosophers and teachers who bring out the dreams of youth and nations, inspiring people to imagine and seek a better world. The Magician takes the issue outside of ourselves, connecting to the larger picture or universal view. The Magician shows that we are all connected by an unseen force, opening up unlimited potential for change and growth. They represent what happens when religions become involved in the peace process, instilling it with intention. The Weirdo (or Non-Conformist) is the first to try out these new potentials, boldly exploring new ways of living and thinking. They have less attachment to the status quo, and do not fear the unknown. They are curious types, who adapt quickly to alternative realities. Based on thousands of clients, Jung and Grof’s conclusions are that human beings are not that different after all. The myths of the fall from heaven, the battle between life and death, longing for love, and fighting for revenge appear over and over again throughout history. From the perspective of psychology, metaphors and myths are the places that connect the conscious and the unconscious self. And also people to each other, across cultures and time. Martin Luther King, Jr. once said, “We can dream of an America, and a world, in which love and not money are civilization’s bottom line.” America still has a long way to go before reaching its ideals, and ending all wars, which is why it’s important to have stories and lessons to inspire and guide us. Peace may seem like an an idealistic dream in a world filled with wars and conflict, but it is also a daily reality, practiced in every land and every city. It exists wherever people work together. It exists in every selfless act done for family, friends, and strangers. It exists when people show respect, and truly understand each other. In fact, without the countless displays of cooperation that take place continuously, our society would collapse. Peace is the foundation of every community, the cornerstone of every family. Although our ideologies may separate us, our dreams and myths bring us together. We are seeing more and more around the world that people are being empowered by technology to rise up and demand a better world now, making our collective dreams a reality. Peace is possible. Peace is not a myth.